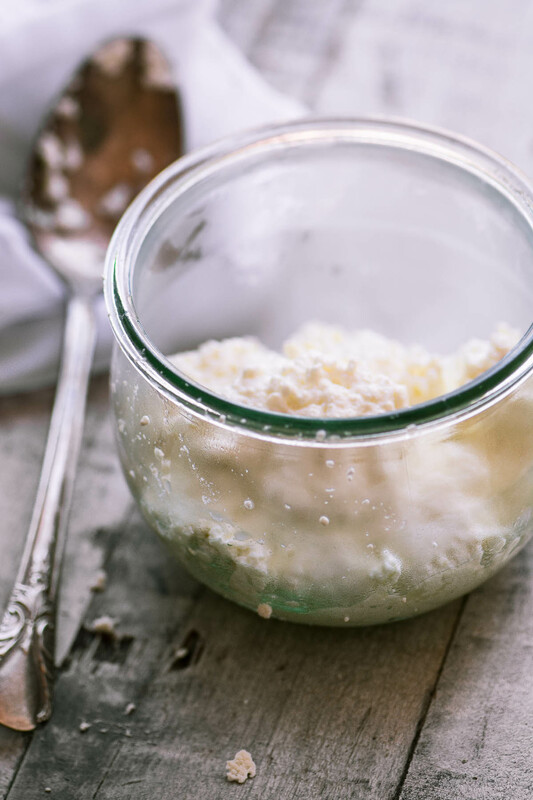 How to Make Homemade Ricotta Cheese ~ this is super easy, and so satisfying. Fresh homemade ricotta cheese is worlds away from the stuff in the supermarket and it’s ridiculously quick to make, with just 2 ingredients! If you think making homemade cheese is something you could never attempt, think again. Ricotta cheese is the perfect home cheesemaking project for a beginner, and once you try it, there’s no going back. You’ll also need some cheesecloth to strain the whey from your cheese curds…you can also use a fine mesh nylon bag such as a nut milk bag. I prefer these because they’re easy to clean and re-use. Here’s the easy no stress method. Don’t let the fancy complicated tutorials put you off. I think those people secretly want to keep cheesemaking all to themselves. 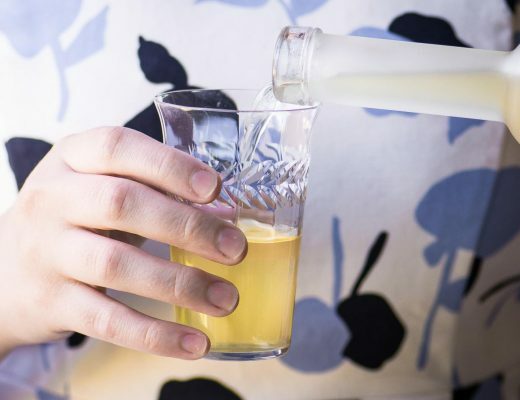 Just heat your milk just until it wants to boil, then add fresh lemon juice. The curds will appear almost instantly, like magic. Strain the whole thing through cheesecloth or a mesh nylon nut milk bag and you’l be left with soft fresh ricotta cheese. Use it immediately or within a few days. It’s fabulous in so many dishes. in pasta recipes, either mixed into a sauce, or spooned on to the plated pasta. A super easy fresh ricotta cheese you can make right on your stove top, in minutes! Open out your cheesecloth and line the colander with a double layer of the cloth, covering all sides of the colander. Set that over a deep bowl for draining and set aside. 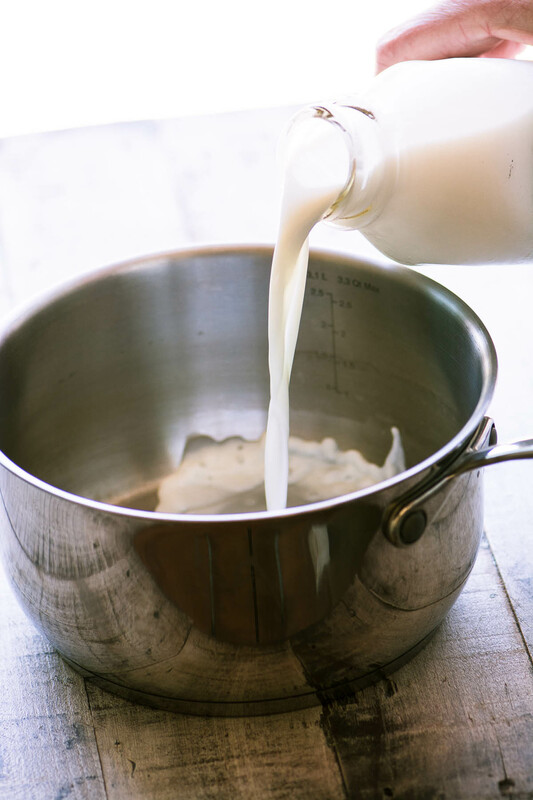 Pour your milk into a heavy bottomed pot and set on medium heat. Let it heat slowly, until it's just about to boil. Add in your 1/4 cup of lemon juice, and almost immediately you will see the curds form. Keeping it on the heat, let the curds fully form. Don't stir it much, just check to see if the curds have fully separated from the whey. The liquid should be translucent. This won't take long, just a minute or so. Take it off the heat and let sit for 5 minutes. 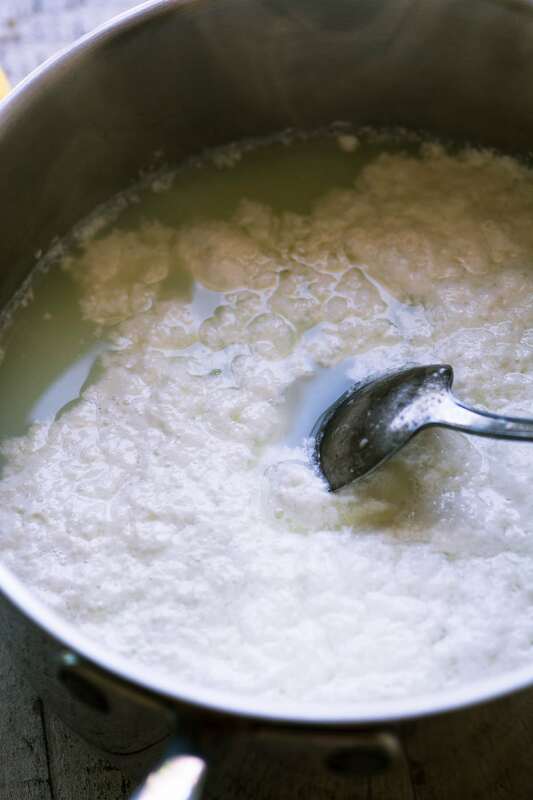 Then, using a slotted spoon or skimmer, skim the curds out and into your cheesecloth lined strainer. You can gently pour the liquid from the pan straight into the lined colander if you like. After a few minutes, pull up the cheesecloth and gently press to release more whey. 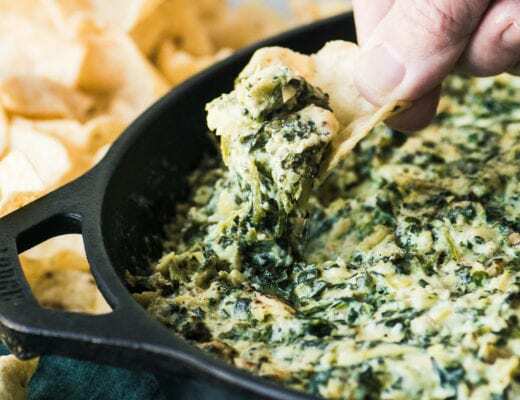 The more you drain the cheese the firmer it will become. I like it soft so I just let the moisture drip for a few minutes and then put my fresh cheese in an airtight container until I'm ready to use it. The cheese will keep 3-4 days in the refrigerator. 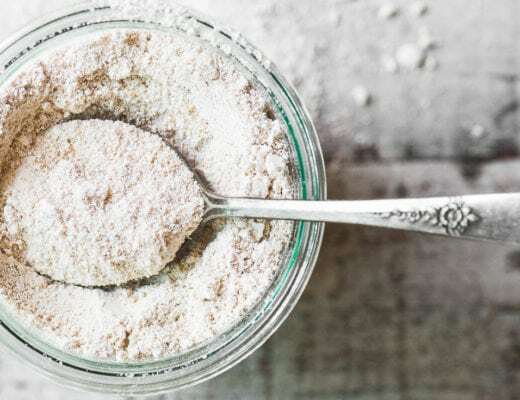 Need a vegan ricotta recipe? Try this one. This is one of the easiest things I’ve ever made, and I’m so proud of my homemad cheese!! Can I use any plant base milk? You can’t make it in this same way, but I’ve seen vegan ricotta made by blending blanched almonds and water in a blender until it becomes the texture of ricotta cheese. This process works for making cream cheese also. 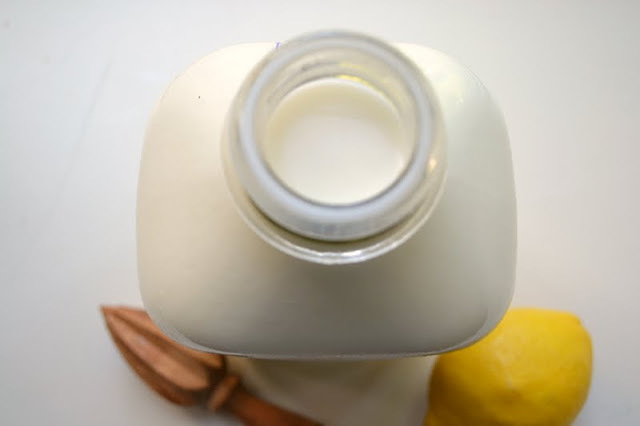 Use 4 cups whole milk and 3 tablespoons lemon juice, one spoon at a time. When process is complete, as in ricotta cheese, place kurds in blender until smooth. If too thick, just add a little of the whey. Form and refrigerate. Will kept several days. Hope this is an appropriate post for here. Oh thanks Claudia ~ I am planning to make my way through all these fun projects, I’ll try the cream cheese next! Will this work with Lactaid whole milk? This looks really great and, as you say, easy. I’m Keto so I will be using whipping cream. Thanks for the recipe. Hey Catherine, I’ll be interested to hear how that goes, I’m under the impression that using cream won’t curdle very well. I sometimes add a little cream to enrich my ricotta, but I thought heavy cream was more difficult to use. I might have to try again, it does sound luxe! This is wonderful and so easy. I didn’t get 3 – 4 cups though. Probably, pushing it, maybe 2. I left mine a little loose too. I had to use lactose free milk. I wonder if that affected the amount? There might be a scientific explanation. Lol! Thank you! 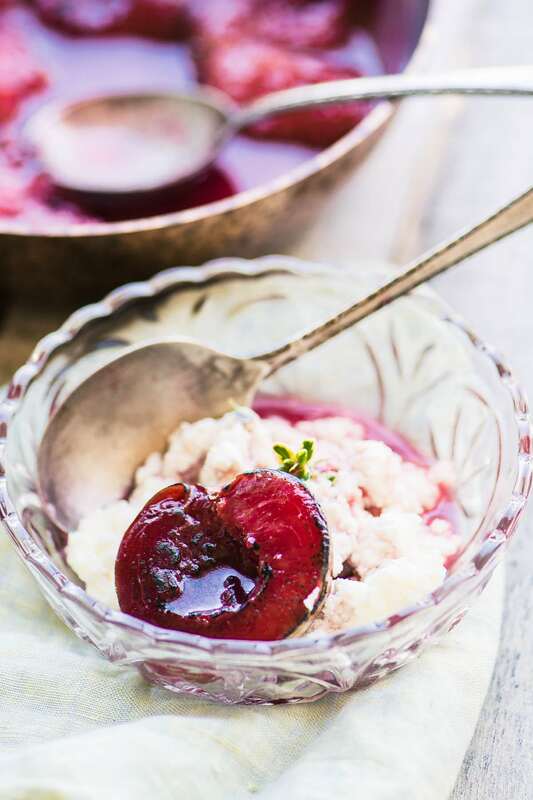 Making your honey plums for dessert tonight. Can’t wait! That’s interesting that it works with lactose free milk, Alene, and that could have affected the amount you got, not sure. Made it with the roasted plums. Very very good! Had the leftovers for breakfast. I’m going to experiment with other fruits too. Buying another half gallon of lactose free milk again. I wonder if it would work with 2% or 0 fat?? Maybe I’ll make half to test it. It’s already missing lactose and to cut the fat might be a little too many changes. Can you use a nut milk bag in place of cheese cloth? You can, and you can also use nylon mesh bags, I like those the best because they’re so easy to rinse out and clean. The whey is pretty thin, Antonia, but you can use it. You can use it for stock, or as a cooking liquid for rices and grains, for instance. You can freeze it for later, too.